Phew, I did it! I completed the 2017 To Dine Challenge in time for December 31st to roll around. For those of you that aren't familiar, since 2010 I've been setting a goal for this blog to dine at 10 specific restaurants over a 12 month period. Each December, I had gathered your suggestions, narrowed it down to 10, and announced the new Challenge list on January 1st. A little "New Year's Resolution" of sorts. There were some years that I didn't get to them all before December ended, and other years I was able to complete it in time. 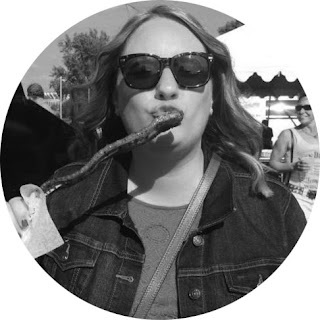 For 2017, I decided to bring back any restaurants that I had missed from other years (those that hadn't closed), and added a couple of new ones to round out the list of 10. Well, I was able to get to all 10 over the last year, and I'm officially calling it QUITS. 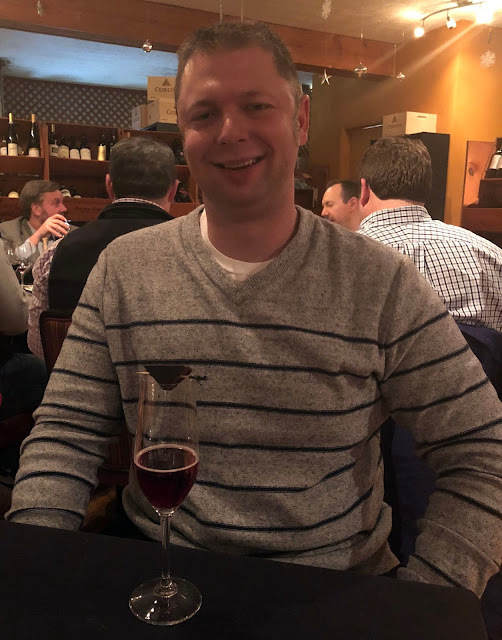 Completing all of the past restaurants that I missed, and a couple of fun new ones this year, is a great way to end the 7 year stretch of the To Dine Challenge. It's been fun, and thank you for all of your input, and sometimes company, in this annual challenge. 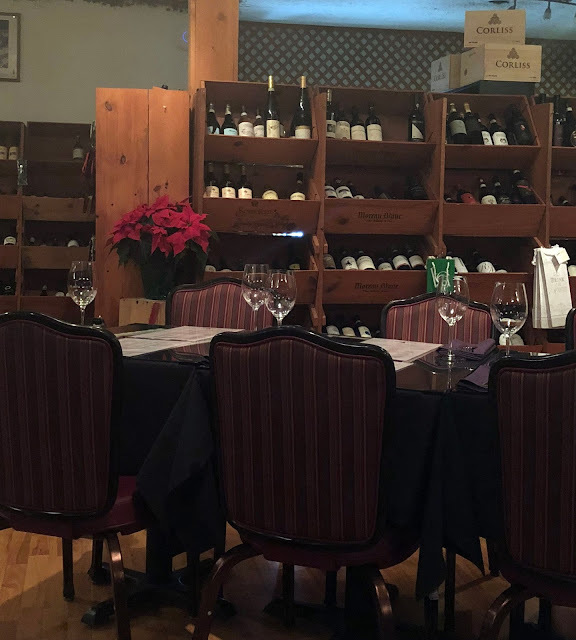 The last 2017 restaurant was North End Wine Bar in Hudson. It had originally been on my radar about a decade ago now, when my friend Chef Jeff Jarrett was there. It was one of the restaurants from my 2011 To Dine Challenge list that I never got to, and so it made its way back on to the list this year. We were immediately greeted by what looked like the owner, as he swung open the front door for us as we arrived. 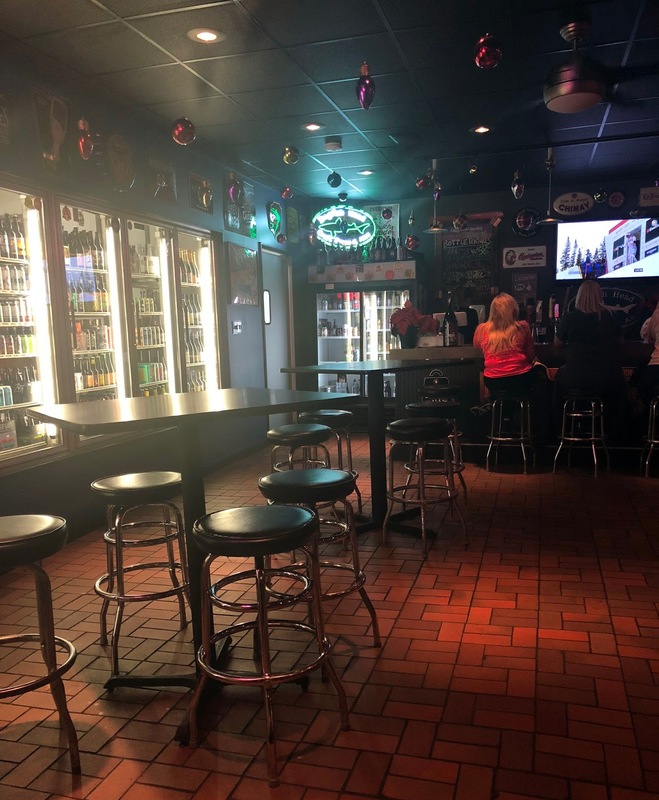 The first section is a casual bar setting, with brightly lit coolers of all kinds of great craft beers and a few wines. The larger section of the restaurant and retail shop is dedicated to wine sales and bistro seating. 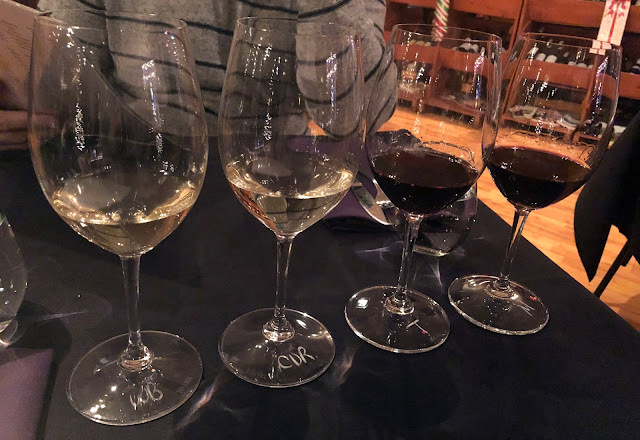 It was Happy Hour, so we snagged flights of wine for just $10 (four 2 oz. pours). Thursdays are also Retail Wine Night, so if you order two entrees and a bottle of wine then the price of the wine is at retail value and the corkage fee is waived. They also had good Happy Hour deals on wine by the glass, beer, and food. We ordered the Arancini ($5). 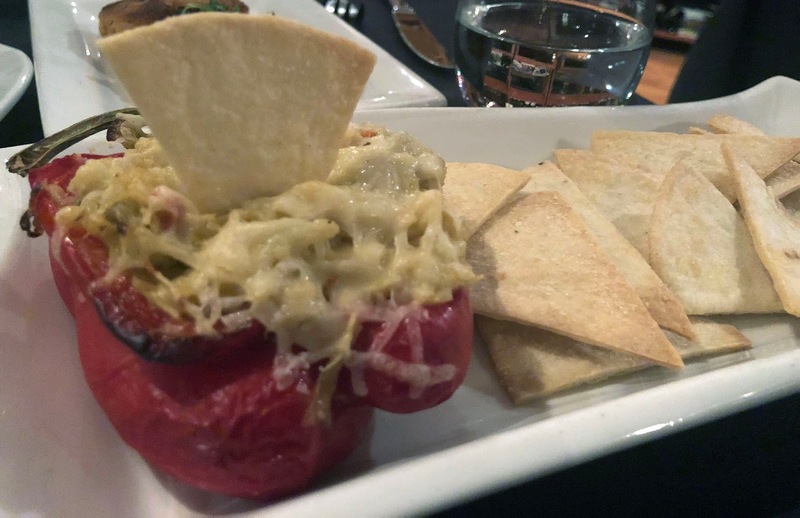 We then decided to share a few small plates instead of ordering entrees, so we decided on the NE Signature Dip ($10) with artichoke, Asiago cheese, roasted red pepper, garlic pita chips, and Parmesan. 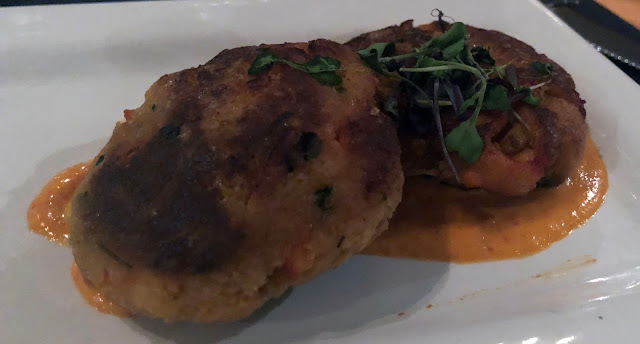 The Lobster Cakes ($12) with lobster meat, boursin cheese, green onion, panko, and a roasted red pepper sauce. 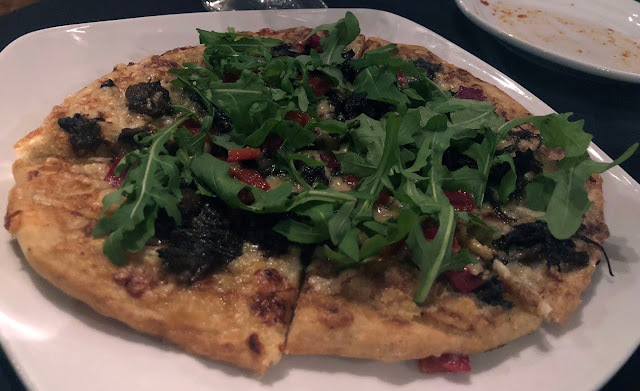 Lastly, we shared the Chef's Pizza of the Day, which included short ribs, arugula, roasted red peppers, and a boursin cream sauce. 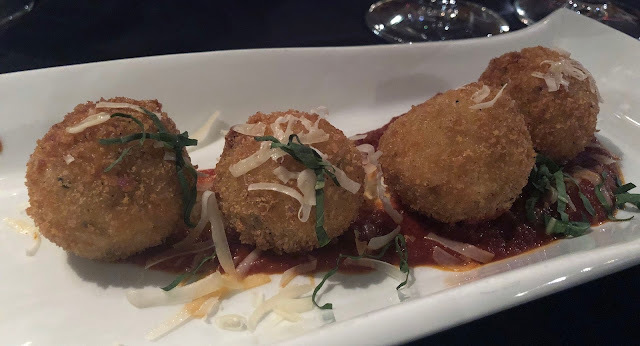 While I didn't care for the Signature Dip or Lobster Cakes, the Arancini and Pizza were both good. They had asked if it was our first time there when we arrived, and as we wrapped up the meal a complimentary dessert wine and wedge of chocolate brownie arrived. What a sweet surprise! Honestly, it was the service that made me love this place. They were so welcoming, and went above and beyond to make our experience a good one. While some of the food was hit or miss, the concept is just great and I'd love to have a spot like this closer to us on the west side! Well, that's a wrap on 2017. It's been a delicious and fun year. Cheers to what 2018 will bring! Oh, I've never heard of this place! My mom lives in Cuyahoga Falls, so we meet up in Hudson a lot for meals. This one will have to go on the list for 2018.